There is some science barely considered when you are buying a new shoe. Most people rarely understand that there is a connection between your spine and legs. Your legs carry the mass of your body, and it is then exerted on your shoes. Some walking or running shoes will align your back accordingly while others will adversely affect your gait. Therefore, you should understand the features of the best shoes for those who suffer from back pain alleviation as well as some cases of foot pain, knee pain and neck pain. 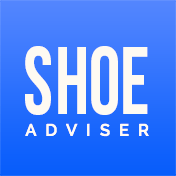 We want to help you look for shoes that fit properly and will aid you. To aid further, try adding a shoe insert for extra comfort. The impact of your body weight varies depending on the type of activity you are engaged in. 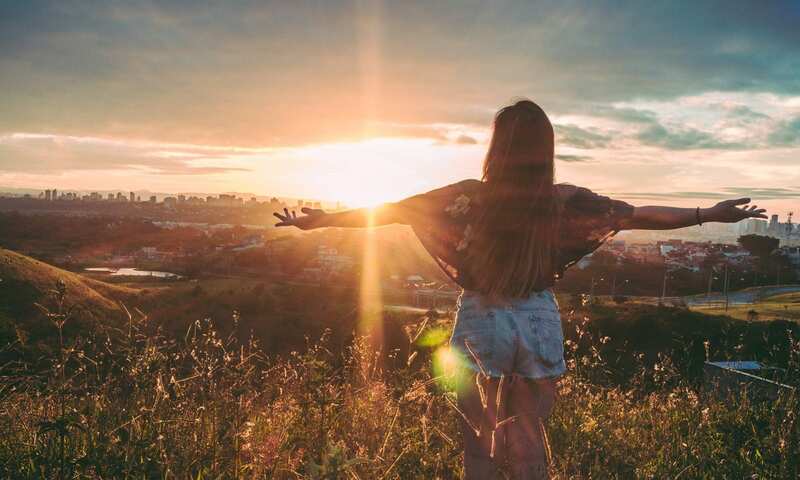 When you are doing vigorous activities like jogging, running, hiking, playing, and jumping, the pressure exerted on your back, legs, and feet is high. Therefore, you need a shoe that will absorb the shock to save you unnecessary problems as you enjoy your favorite activities. There are other ordinary activities like walking and sitting in the office wearing shoes considered the worst shoes that can be detrimental to your spine. The little impact accumulates and creates a significant pressure buildup that is enough to affect your structural alignment. Aren’t you tempted to buy a shoe that perfectly blends with your wardrobe without a second thought? An advert pops up on your PC, and the next moment you are a step up away making an impulse buy. At such times, one never reads the product description. Unfortunately, you could land yourself a bundle of chronic pain without your knowledge. Your choice of footwear should go beyond fashion and wardrobe elegance. Don’t get me wrong. You can still have an adorable wardrobe with walking or running shoes that take care of your health. Back pain is the second primary reason why people visit physicians. Understandably because making over 5,000 steps for a woman and over 7,000 for a man in the worst shoes can cause some impact on your spine. There are other problems like dislocated of the ankle, blistered feet, and protruding heels. Then, how do you get a shoe that serves you faithfully and alleviates back pain? That question will be answered as we look at the factors you should consider when purchasing your footwear. The material of your shoe determines its ability to absorb shock. The density and modification of the footwear are essential in improving support and distributing the weight exerted on various body parts. Some materials are rigid and may give your feet a hard time fitting in. Your feet should feel comfortable, and the heel should sustain the body impact comfortably. The material should be flexible to allow movement of your feed. If you are involved in vigorous activities, this is a crucial aspect of excellent results. The material also determines the weight of the footwear. The best material should be light without compromise to the standard thickness that can help you alleviate back pain. The durability of the shoe is also a function of the material used. As you search for comfort, your footwear should give you value for your money through a significant life. There are also some materials that cause pain due to friction. Consequently, you may get a blistered leg or a severe infection that may affect your gait. There are different types of footwear and shoes designed for women, men or both. This is not just based on style and fashion, but it puts into consideration the structural differences. The weight of a man is distributed differently compared to that of a woman. When manufacturers are making these shoes, they have to consider the target gender. If you wear a shoe meant for opposite gender, you will experience discomfort and probably accumulate pressure on your back. When the impact builds up, you may suffer from back pain. However, these are unisex footwear which is made for both men and women. 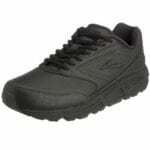 These walking or running shoes are designed to fit and support varying weights without any stress. Unisex footwear does not have biased designs to maintain neutrality. Gender also plays a role in determining the design of the shoe. For those who walk a lot, see our review on the top shoes for walking on concrete. There are some which are meant for men and others for women. There are also preferred colors for each gender when you are choosing the best shoes or men’s shoes for back pain management. However, the color is not a restrictive aspect if you have found a shoe that gives you comfort. The style of footwear dictates how each part of your feet will be aligned. There are women and men’s shoes which are contracted at the tip and only fit people with short or thin forefeet. The adjustment of the footwear determines your mass distribution on the feet. Highly raised shoes can cause discomfort because the fore part of your feet carries the weight. Consequently, pressure accumulates and affects your gait. If you have a strained posture, the possibility of back pain is high. Also, flat shoes can be the cause of back pain because they do not provide any support. Hence, the whole body weight is sustained by your legs and back. Other footwear like flip-flops increases back pain because they are strenuous to keep lifting. Having a strap that helps to keep the shoe intact will reduce back pain. The shoe’s arch should match with your foot arch. The aspect ensures that your feet are aligned, and you experience maximum comfort. Some people have different left and right arch which requires a lot of sensitivity when choosing the best shoes with arch support for everyday health. If you are in this category, you should try out both shoes to make sure you have selected the best fit. The arch determines which part of your leg carries the most weight. Therefore, you should seek shoes provides maximum support to this part. The footwear should also be cushioned to reduce your back pain and the impact of pressure when running, jogging, playing, standing or walking. A matching arch eases your motion. After considering these factors, you can choose the right shoe to alleviate and prevent back pain as well as unnecessary foot pain. Here is a list of some of the best choices of shoes for people who suffer from back pain, followed by our definitive guide. The Brooks Addiction Walker Men's shoe gives you optimum support, long durability, and maximum comfort. It is made of leather, velvety nubuck upper, and soothing fabric lining. The footwear is ideal for shock absorption and excellent alignment of the heel and forefoot. The middle part of the shoe is enhanced with MoGo technology that offers a soft feel but maintains stability and energy return when making your strides. The outsole is made from environmentally friendly silica material that offers you a firm grip preventing skids. 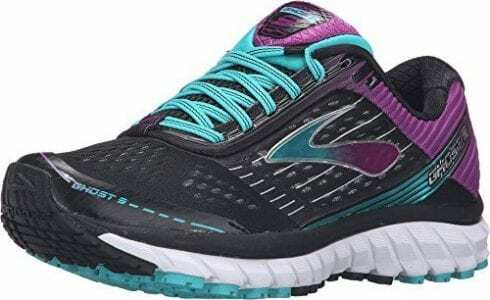 If you are after a shoe that will provide control for your overpronation and support for your lower arch, then Brooks Addiction Walker will fit your needs. The footwear is designed for casual wear and everyday walking. The outer and upper part of the shoe is made from pure leather that guarantees you durability. The inner fabric is meant to absorb shock and offer comfort to your ankles. The outsole is made of silica which provides long life and maintains your grip to keep you planted. The insole is enhanced by MoGo and Hydroflow technologies for safe landing on each stride. This is a robust shoe designed for men. The style gives it a masculine appearance that is quite endearing. This is casual wear for your arch support. It does not compromise its contemporary outlook to allow you to wear it for your everyday activity. It comes in three colors- black, suede brown and white. The Brooks Addiction Walker Men's supporting shoes are meant to support every part of your feet through its advanced technology. The feet are well aligned, and your body weight is distributed to reduce the impact on your spine. It is ideal if you have fasciitis. This is a slip-on men's shoe that has a thick heel. The footbed of the Men's Merrell Encore Gust is removed for aeration after a long day strolling or walking. It has air cushion that absorbs shock. The insole of the Merrell Encore Gust is made from cloth material that gives a soft feel and maintains the right air circulation. They are ideal if you spend many hours standing as you undertake your duty. You will get comfort and durability in a single package, a situation that rarely occurs. The outer upper surface is made of leather which gives you durability guarantee. The material is water resistant because of its smooth texture. The sole with air cushion is M-Select gripped for stability when walking. It is made from rubber to offer you flexibility and reduce leg fatigue. The Merrell Encore Gust is composed of full grain leather and a rubber outsole. The two materials are durable and are modified for your comfort. The heel is more than two inches thick to absorb shock. The insert is made of cloth for a massaging feel on your foot. The Merrell Encore Gust men's shoe has a rounded edge to give you enough space for your muscular forefoot. This Merrell Encore Gust is a slip-on shoe that saves you from tying laces. The feature makes it easy to clean or wipe. The design gives you a casual outlook and an outgoing appearance. It is ideal for standing for long hours. It comes in both black and brown colors. The Merrell Encore Gust men's shoe has excellent arch support, and the insole keeps you grounded. It ensures your foot is intact to keep weight distribution constant. The thick heel is ideal for absorbing the impact of your weight as you walk. This is an orthotic sandal that is specially built to relieve any pain caused by strenuous gait. It is dual-layered to give you maximum shock absorption. The shoe is more than your ordinary flip-flops because it has a dotted footbed that provides you with a grip to prevent feet sliding. It is also meant to reduce pronation due to its tri-planar motion control aspect that aligns the foot to its natural position. The woven toe post is thin and soft to ensure your toes are not strained. It has a flexible EVA midsole that reduces pressure on your heels, ankles and knees. It has a wave pattern thread that increases your traction while walking. The sandal is not ideal for rough surfaces because it is easily penetrable. It is cleaned using a damp cloth and allowed to dry in direct sunlight for a few minutes. The sole is made of rubber which is durable and soft to give you comfort. The toe post is meshed neoprene to avoid straining your holding toes. This is your favorite flip-flop whether you are a man or a woman. It is accommodative with a neutral design. This is a casual sandal. It is ideal when you want your legs to have some freedom. They will sustain pressure when doing vigorous activities. However, you should avoid construction sites with open shoes. These shoes are suitable for a falling arch. They also alleviate back pains and ensure you feel comfortable. The high arch supports your feet excellently. This is a product that comes in a range of colors designed for women. The women's shoe is neutral to supination and has an energizing cushion that keeps you going. It has a breathable and stretchable upper part that aerates your feet and enhances air circulation. It has a fabric lining that gives your foot a soft feel. The tongue and color are plush to provide you with maximum comfort and flexibility your feet. The insoles are easily removable to allow air circulation after a long trek. The women's shoe prepares a soft ground for foot landing with each stride you make. The forefoot is enhanced by soft blown rubber that gives you a grip and light cushion. It has Omega Flex Gloves that offers you natural forefoot movement and alignment. The upper part of the women's shoe is primarily made of fabric with some enhancement to give it a stable outlook. The inner lining is purely fabric to provide you with a massage effect with each landing. The outer sole is pure rubber that is threaded to guarantee you a firm grip even on slippery ground. The cohesion between the material and surfaces gives you a skid-free walk. The shoe is designed for ladies. They are modified to support the exertion of a woman’s body weight. The women's shoes take a sporty casual outlook that is ideal for your jogging or walking. You will find them helpful if you need support for your knees. They come in a range of colors that are ladies' favorite. They come in shades of colors that give them a stunning appearance. If you have a low arch, this is the best shoe for you. The women's shoes set your feet for smooth landing when you are jogging or running. The women's shoe is designed with breathable human-made upper material and a durable outer sole that will give you value for your money. The shoe is also light and comes in a range of attractive single or multiple colors. The upper part is built using meshed fabricate to give you optimum comfort and allow air circulation. The insole is removable to allow air circulation after walking for several miles. The shoes are ideal for walking, working, playing or everyday activities. If you plod your feet while walking, these shoes will offer you a light feel as you walk. That relieves the pressure exerted by the body mass reducing the effect on the spine. They have a stiff arch that supports your flat feet. This footwear is made from meshed fabric to increase breathability. The soles are made of rubber giving the Vionic Women's Agile Kea a long life. The inner lining is also made from soft fabric to provide you with a massage effect. The inserts are removable EVA orthotic material that is flexible but firm. The shoes are designed for women. You will have one that blends perfectly with your wardrobe. This is a sporty casual outwear that will go well with your vigorous activities. You have a wide range of colors to choose from. If you love shades, single or multiple colors, you have several options on the list. If you want women's shoes that will ease the pain of plantar fasciitis, then these shoes will do. You do not need to buy insoles for arch support because the footwear comes with reliable inserts that will align your feet for arch support. 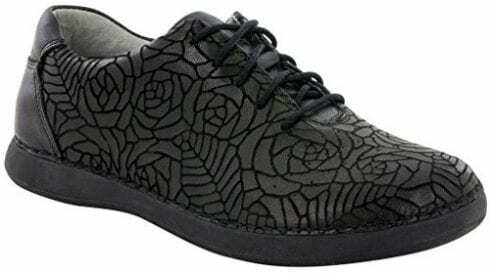 These Alegria Essence women's shoes are flowery sneakers that will steal the show. The Alegria Essence women's shoes keep the strain from your joints to the back. They are made from leather and a durable synthetic sole. They have memory foam insoles that give you maximum comfort and alight your feet to distribute pressure. If you have a condition like a bunion, these shoes will work correctly for you. They are ideal for standing all day long but offer a trendy look that competitors can only envy. The Alegria Essence women's shoe has adjustable lace-up that allows you to tie your shoe to fit perfectly. You are guaranteed that the shoe will not slip out while walking or in your regular activities. The rocker PU outsole is sturdy and firm to absorb shock and reduce muscle, joint and back pain. It gives you a professional look without compromise to a fashionable appearance. The outer upper part of the Alegria Essence is made from durable leather that is easy to clean and waterproof. The insole is made from multiple materials like cork, polyurethane and memory foam. These materials are sturdy but maintain an ideal footbed for a soft landing. The outer sole is made with soft Nappa, metallic or leather to give you enough service. The shoe is designed for ladies. It has elegant designs or shiny appearance that gives the footwear a feminine outlook. If you want to maintain your professional look but keep it trendy, then this is your shoe. 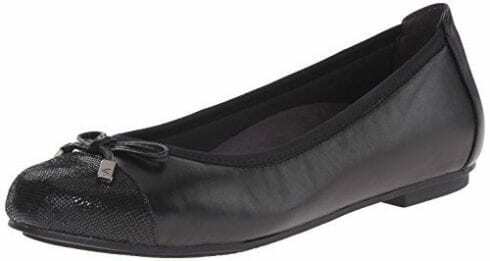 This Alegria Essence women's shoe is a professional sneaker that comes in a range of colors. You will also have several designs of prints to choose from. If you want a plain women's shoe, the option is there with several options in the list. If you have a flat foot, plantar fasciitis or fallen arch, then this shoe is in the market to save you the agony caused by these conditions. The shoe supports your and gives you maximum comfort without any need to buy insoles. 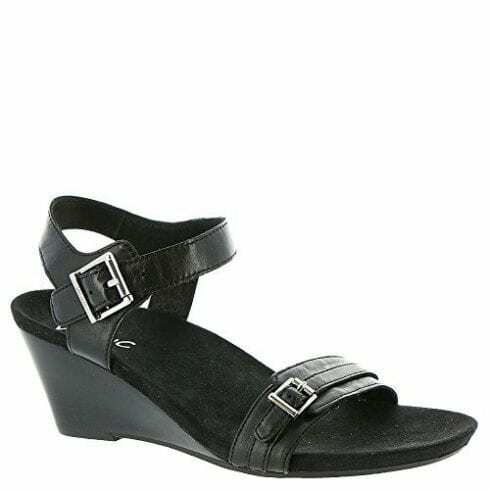 This is an open strapped women’s wedge with leather straps and a rubber sole. It has adjustable buckles at the ankle and toe which allows you to adjust accordingly. It is made from dyed cow’s hair which gives it real leather glamour. The heel is 2.25 inches. The size is not strenuous to your back and fully supports your weight. It has a padded insole that offers your feet optimum comfort. The synthetic rubber outer sole is highly durable. If you have plantar fasciitis or Morton’s neuroma, then Vionic Noble Laurie will help you alleviate the effects of the condition. The straps are made from pure leather and a metallic buckle for adjustment. It has dyed cow’s fur that gives it a stunning look. The outer sole is made from synthetic rubber, thus highly durable. The inserts are padded to offer you maximum comfort and arch support with each step. The footwear is designed for men. It has a raised heel that is meant to give the shoe an elegant outlook. This is a wedge that is meant to be worn in formal settings and professional setups. They are ideal for your dresses and formal trousers if you want to keep your feet free. The padded insole is ideal for arch support. The shoe is suitable for plantar fasciitis and other conditions which may affect your gait. The shoe corrects the condition without any impact on your back. 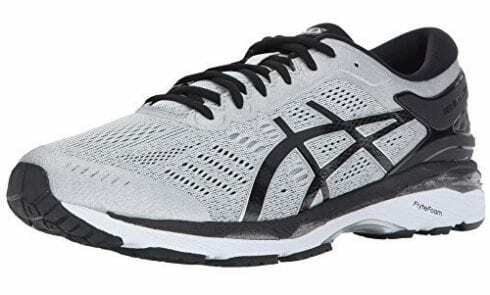 If you have lower back pain or overpronation, the ASICS Men’s Gel-Kayano 24 will alleviate the pain and align your feet. ASICS uses a technology that aims at enhancing your natural gait from the heel strike to the toe-off. The ASICS Men’s Gel shoe has a fluid ride midsole that gives you a springy step and absorbs impact while walking. The upper part is made of textile and synthetic material. The rubber sole gives you a firm grip that keeps you grounded. The ASICS Men’s Gel shoe is also ideal for heal pain and streamlines your feet to take a normal shape. You can undertake vigorous activities like running and jogging on these men's shoes. You need not worry if you have fasciitis because the manufacturer has catered for that. It will improve your trekking mileage and reduce the risk of an injury. Textile and synthetic materials are the components of the upper part of the footwear. The sole of the ASICS Men's Gel shoe is composed of rubber that gives it a long life. The insole is made from foam technology to provide you with a soft footbed to absorb shock from your body. The shoe is designed for men. 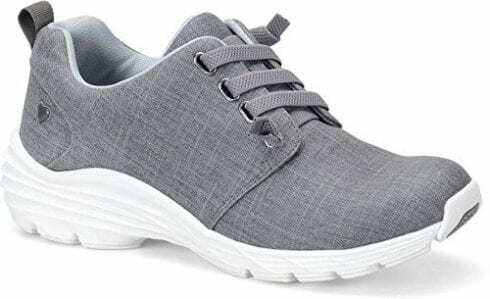 This is a sporty shoe that comes in several colors. You can choose the best triple combination for your needs. The men's shoe will serve you excellently and align your feet to give you a typical gait. It is known to be a pain alleviator through its advanced insole technology and soft inner lining. If you have a condition that causes you discomfort, it is high time you try ASICS Men's Gel-Kayano 24. This is one of the best shoes that come with an orthotic insole. The dress shoe insert has every part of your foot soothed to release pain and give you a soothing effect. The shoe alleviates pain from your joints, heel, hips and lower back. The insole is meant to add a springy impact on your step and provide a soft footbed for each muscle tissue. It has a wide fit toe box to distribute pressure which could otherwise be sustained by your forefoot. The interior lining is padded to relieve pressure from all pressure points giving you maximum comfort. The dress shoe is engineered to offer solutions for diverse conditions like fasciitis, diabetic foot, arthritic feet, back pain, heel pain, and Morton's neuroma. The dress shoe facilitates your motion with motion control and enhances your stability. The upper outer part is made from leather that keeps it attractive all the time. The insole is composed of Ortho-Cushion System for cushioning each part of your feet and for exemplary soothing massage effect. The outer sole is made from soft rubber that gives you a springy feel with each step. The footwear is designed for men. 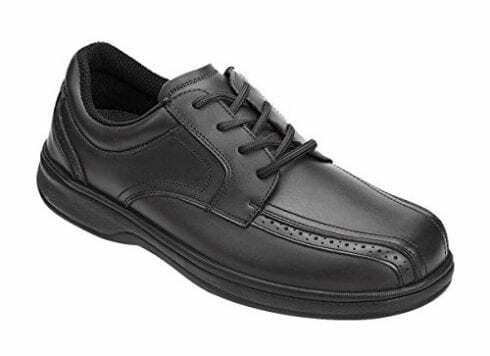 This is an official dress shoe that offers you comfort and pain relief from your condition. It comes in two colors- black or brown. It is non-bound with extra depth to hold your feet firmly and avoid slips as you take your strides. Your arch is fully supported with Orthofeet Gramercy Comfort. It has enhanced outer and insole technology that ensures that each step is cushioned and pressure is reduced to keep all your body parts comfortable. It is also laced to avoid strenuous gait while walking. 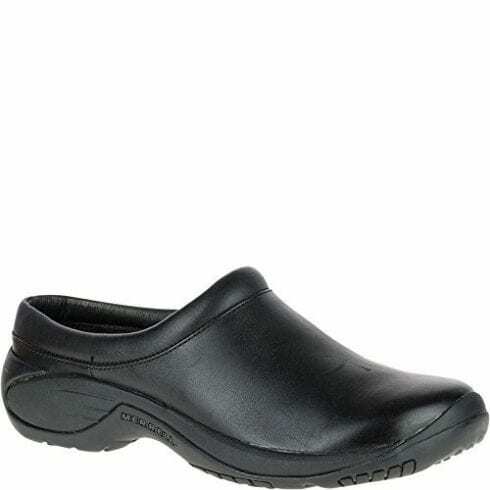 These Vionic Spark Minna women's shoes are comfortable slip-on with leather upper and an outer rubber sole. They give you arch support with a low heel raising and round toe box. The upper part is breathable for maximum aeration. The inner lining is made of textile to give you a plush feel as you make each step. The dress shoes are easy to remove and wear with a removable EVA cushioned footbed for maximum pressure absorption. 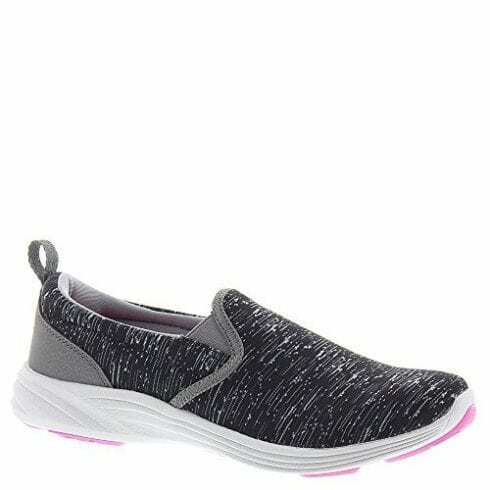 If you have a high arch or you have plantar fasciitis, then these Vionic Spark Minna women's shoes will do you excellent service. They also give you a dressier appearance. The dress shoe is perfect for orthotics. The outer sole is pure rubber with EVA enhancement in the insole to give you a soft landing and distribute your weight evenly. The inner lining is composed of soft textile for optimum comfort. The outer upper part is made of leather for durability and ease in wiping the ballerina. The shoes are designed for women. The Vionic Spark Minna shoes are excellent for dresses and will also do well with your pants. They come in a range of colors offering you insurmountable choices. They are casual shoes that give you a classy outlook. The Vionic Spark Minna dress shoes have a perfect low arch support. They are ideal for people who have plantar fasciitis because they will help in feet alignment. It eases the pain, relieving your back from excess pressure. This product comes with an ergonomic design that is meant to align your feet by placing them in an optimum position. The outer material is full grain leather or polyurethane. It has playful and classy prints that give you a unique appearance. The laces will adjust the shoes to fit your feet perfectly and avoid slips while walking. The manufacturer offers you an extra pair of traditional laces. If you have bunions or plantar fasciitis, the shoes offer you a soft heel landing and an engineered feet alignment. You will not only experience the comfort but also your pain will be relieved. They are also ideal for flat feet. The outer upper part is composed of full grain leather or printed polyurethane for long-term service. The outer sole is made from rubber while the inner lining is fabric. The insole is built with EVA cushion for a soft footbed. The shoes are meant to be worn by women. They have a sneaker outlook. You will find your favorite color or prints. If you love them in plain colors or multiple prints, you have several options. If you are looking for footwear that will offer your flat foot the needed arch support, the Nurse Mate Velocity will give you excellent service. It also provides you stability and keeps you planted on slippery floors. 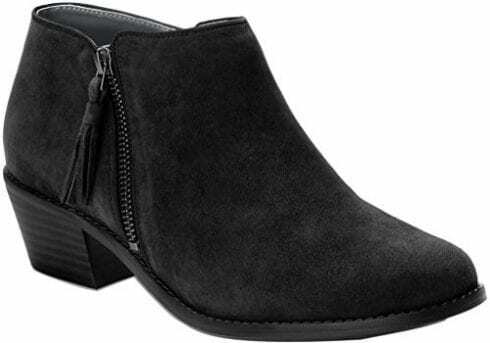 Our last shoe on the list is a women's ankle boot. The shoe has a suede leather upper outer surface that gives you service for years. It has a zipper on the side that provides the shoe with a unique design. It has a microfiber-wrapped EVA footbed that is easily removable. It has a TR synthetic rubber outer sole that caps up the durability features. They are attractive with a slightly raised heel, probably 1 inch or less. If you want to have a dressier outlook, the boots are meant for you. They are engineered to support your arch and relieve any excess pressure on your feet. The outer material is suede leather that is easy to wipe and also serves you an extended period. The EVA footbed is essential in giving you a soft cushioning while walking. The outer sole is composed of synthetic rubber that is reliable in providing stability and preventing skidding. These are women’s ankle boots. They are one of a kind on the list. A side zipper, suede leather, dressy outlook, and raised heel. If you are after something more than the ordinary to impress your wardrobe, the boot will do. It comes in three colors- black, greige and olive. Vionic shoes are known to provide excellent arch support, and this shoe is not an exception. Whether you have a high or low arch, the boot is generous with its support. Whether you want a boot, sneaker, loafer, an athletic shoe or sports shoes for exercise, your priority should be comfort. You should consider footwear that gives your arch optimum support to alleviate back pain as well as foot pain, knee pain, and neck pain. Make sure that your purchase aligns with your foot to avoid straining your feet. Shoes play a role in your gait and determine the quality of your life because they prevent conditions like fasciitis and bunion. Therefore, buy your shoes selectively for maximum comfort. For those who are teachers, you know that your footwear choices are paramount. See the top shoes for teachers here. Q. How long does lower back pain last? A. If you follow the prescriptions of your physician religiously and wear the right comfort shoes for lower back pain, you should get better within 6 weeks. However, you may experience the chronic pain longer, but you should get some relief from your low back pain over time to improve your quality of life. Q. 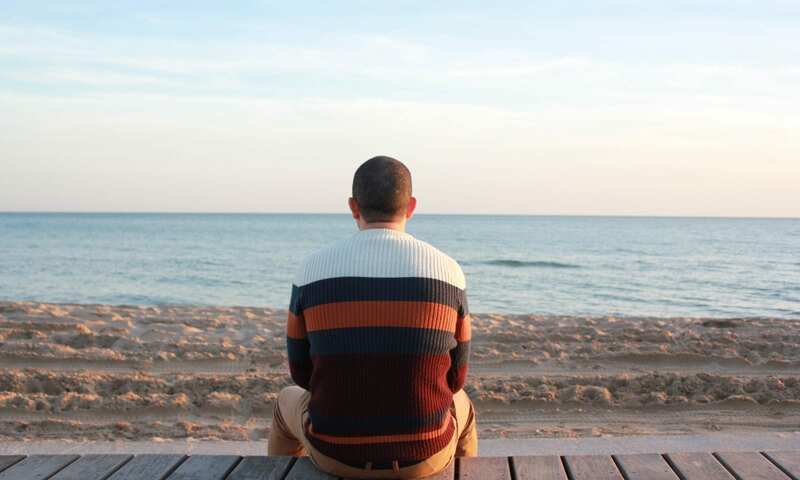 What are the different types of back pain? A. There are several types of back pain. Some health conditions that cause back pain are the worst shoes possible, rheumatoid arthritis, and pregnancy. The kinds of back pain include slipped disc, osteoporosis, referred pain, fibromyalgia, pregnancy, pinched nerve, rheumatoid arthritis, and sciatica. Q. Can shoes cause back pain? A. the answer to this question is a yes – shoe can cause back pain… But how? The wrong type of footwear will cause excess pressure on your feet. When the impact accumulates, it affects your lower back because it has to sustain the weight. However the cause of back pain can largely differ. Learn more about selecting shoes to ease back pain in this Harvard study. Initially, heels were meant for men and not women. You should have at least two pairs of comfort shoes to alternate. This keeps off odour from your shoes due to accumulated bacteria. We hope you enjoyed our article on "The 10 Best Shoes for Back Pain", if so, please share and rate it.